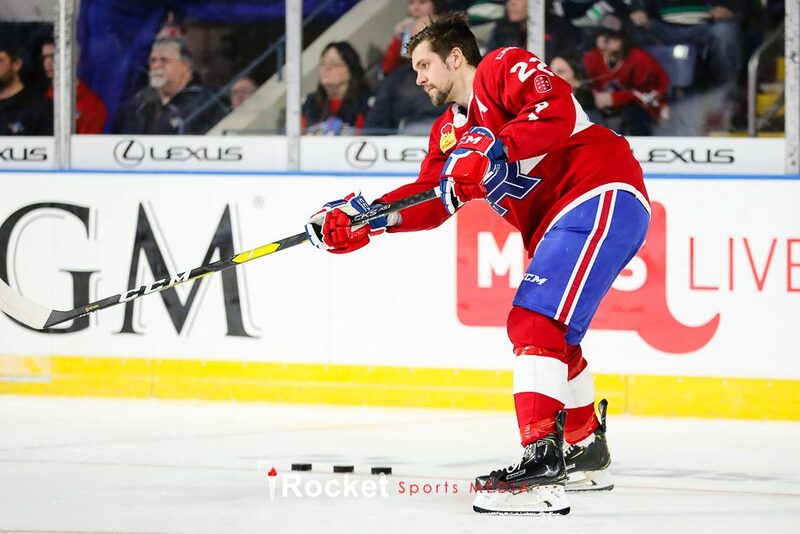 SPRINGFIELD, MA — The home of the Springfield Thunderbirds became the center of attention in the American Hockey League on Sunday night when player representatives from teams all across the country gathered for the 2019 AHL All-Star Classic Skills Competition. 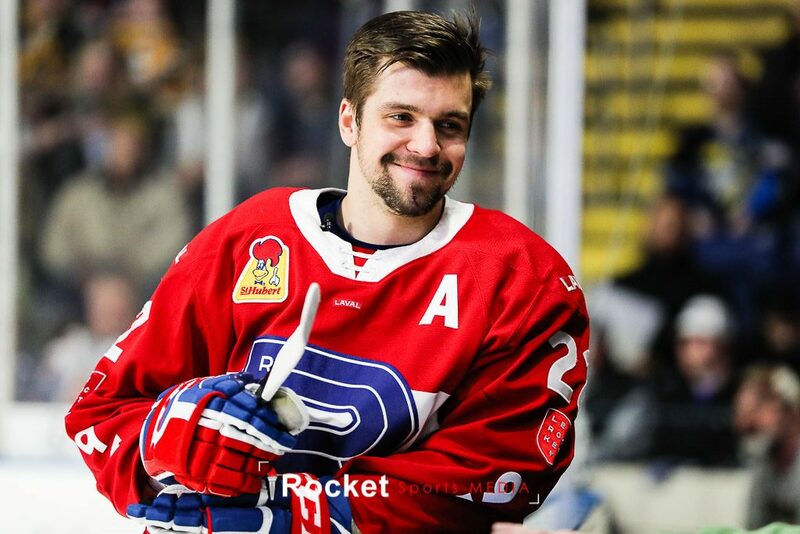 Laval Rocket forward Alex Belzile was selected to represent the Canadiens’ AHL franchise this year, along with forwards Colin McDonald and Greg Carey representing the Lehigh Valley Phantoms. In the talent battle between the Eastern and Western Conferences, there were plenty of highlights as the teams participated in events like the Puck Control Relay, Accuracy Shooting, and Pass and Score. Anthony Greco (Photo by Amy Johnson | © Rocket Sports Media) Unauthorized use prohibited. But the big crowd-pleaser events didn’t disappoint either. 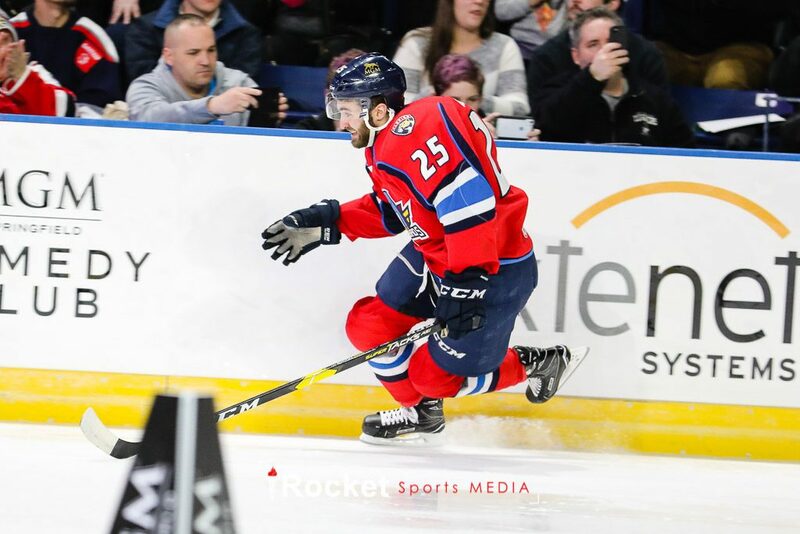 Springfield Thunderbird Anthony Greco set a new AHL record in the Fastest Skater event, much to the pleasure of a roaring home crowd. Greco clocked in at 13.251 seconds after completing his lap around the ice. Greg Carey (Photo by Amy Johnson | © Rocket Sports Media) Unauthorized use prohibited. 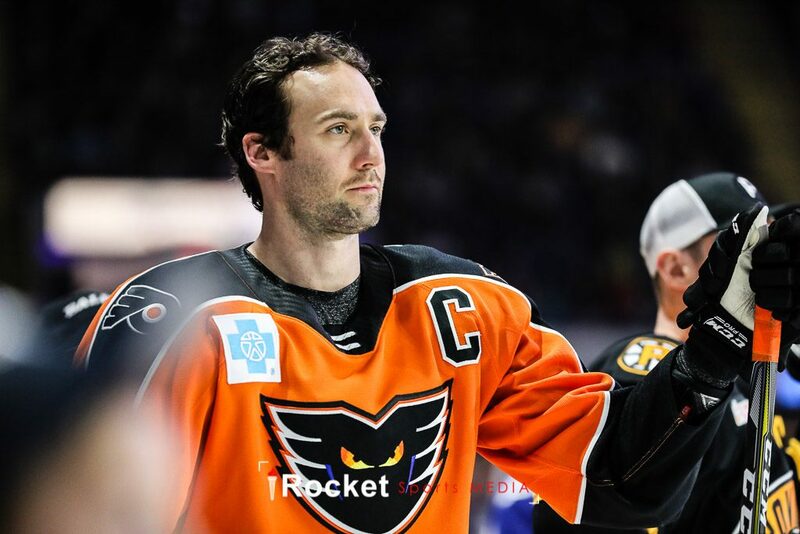 Carey made the Lehigh Valley faithful proud as he set a high bar in the Hardest Shot competition with a hard second shot clocking in at 100.4 mph, the only competitor to break the 100 mph mark. Belzile seemed to enjoy all of his events, with a big smile on his face throughout the evening. 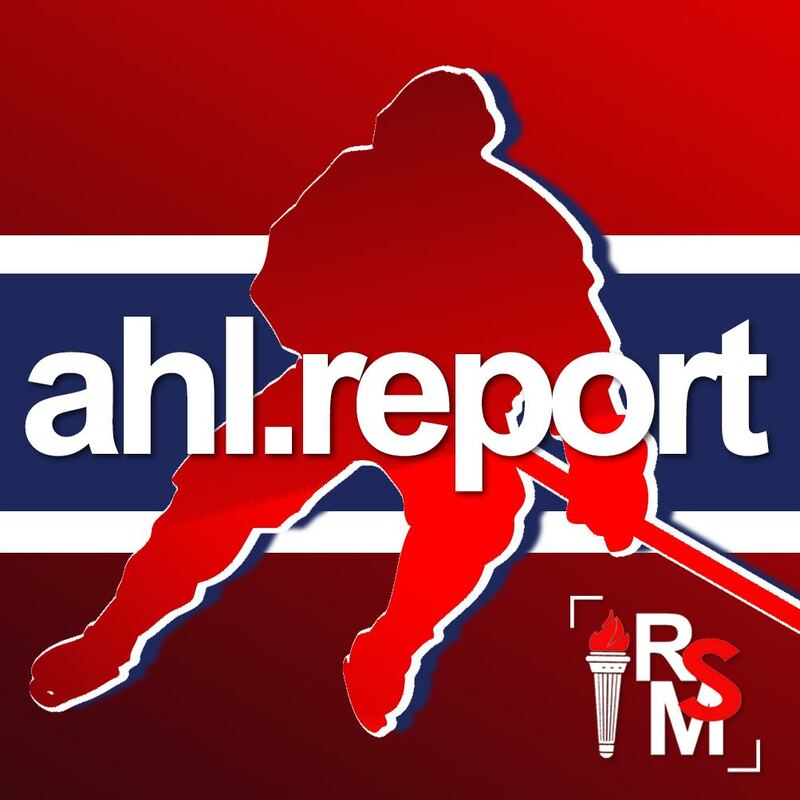 In the Rapid Fire competition, Belzile and Cory Conacher managed to score four goals on ten shots against San Diego Gulls goaltender Kevin Boyle. But his moment to truly shine came late in the night in the Breakaway Relay. 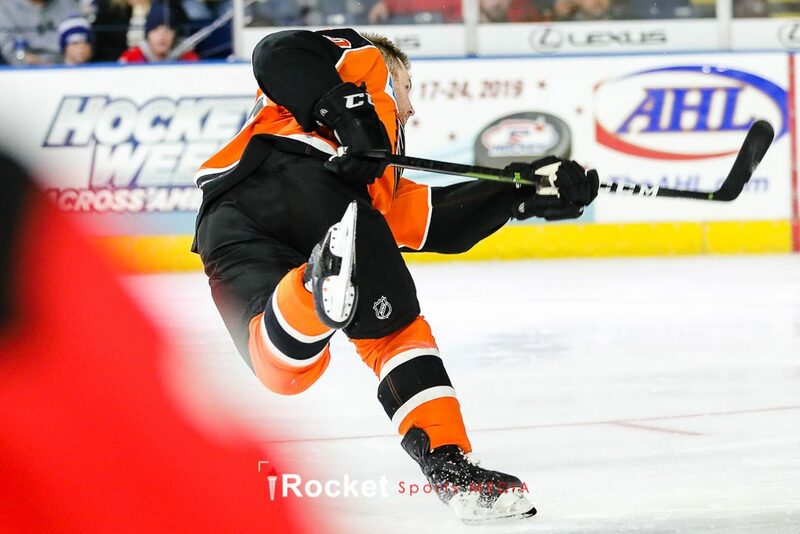 Before the festivities began, Belzile told our AHL Report team he was looking to get “creative” with his breakaway shot attempt, and he did not disappoint. 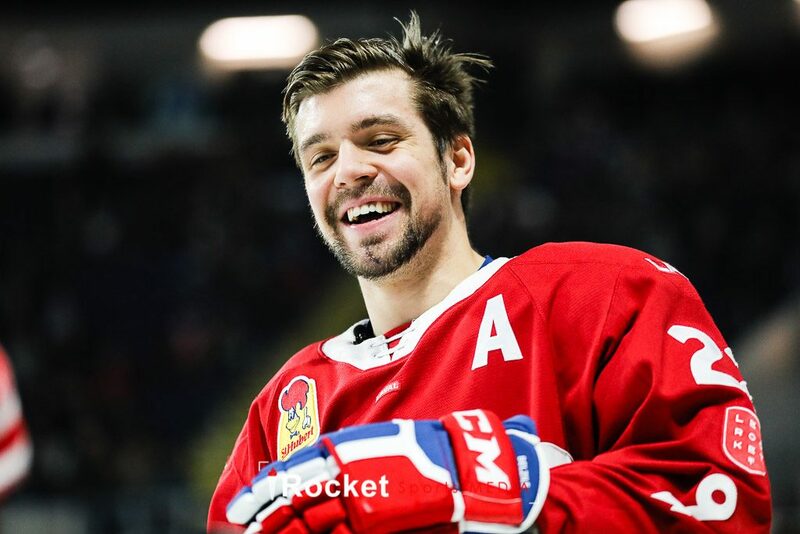 He was the first skater in Heat Two, and as he skated in toward San Jose Barracuda goaltender Josef Korenar he flipped the puck onto his stick blade, tossed it into the air and swung his stick like a baseball bat, but missed in mid-air and he tried to bury the shot after the puck hit the ice. Although he didn’t score a goal, the crowd seemed genuinely pleased with the effort. Lead Correspondent Amy Johnson caught up with Belzile before the event. You can listen to his full interview in the player below!